MainAll NewsDefense/SecurityHow many missiles does Hezbollah have aimed at Israel? How many missiles does Hezbollah have aimed at Israel? Security Minister reveals Lebanese terror group's arsenal has grown to 150,000 missiles and rockets, says Iraq could join assault on Israel. 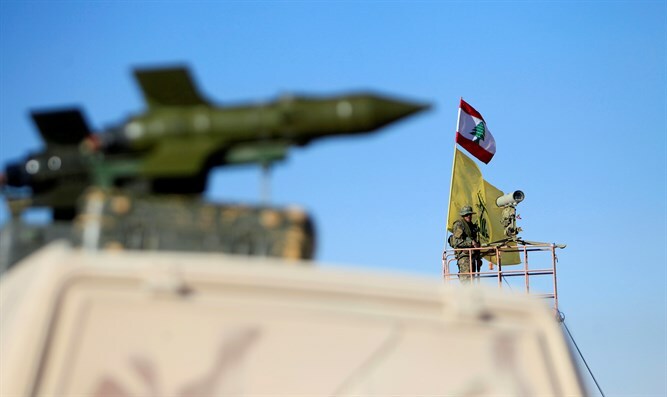 The Lebanese terrorist group Hezbollah’s arsenal of missiles and rockets has grown to 150,000, Internal Security Minister Gilad Erdan (Likud) revealed Sunday. Speaking at a conference hosted by the Jerusalem Institute for Strategic Studies on Sunday, Erdan highlighted the increasing military presence of Iran and its allies along the Israeli border, Israel Hayom reported. Iran has worked in recent years to entrench itself militarily on Syrian soil, giving its Quds Force branch of the Revolutionary Guards a base of operations for attacks on Israel, including a February 2018 aerial attack on northern Israel. Tehran has also sponsored Hezbollah, which remains active in southern Lebanon along the Israeli border, Erdan said, revealing that Hezbollah’s arsenal is estimated to include more than 150,000 missiles and rockets. Erdan added that Iran – which maintains ties with Iraq’s Shi’ite-majority government – could draw Iraq into direct involvement in a future conflict with Israel. The Internal Security Minister said Iran’s strategy against Israel included opening up as many possible fronts against the Jewish state for a potential future conflict. With more assets targeted at Israel, Iran hopes to deter Jerusalem from striking Iran’s nuclear facilities in a bid to prevent Tehran from acquiring nuclear weapons, said Erdan. The model, Erdan said, is based on Hezbollah’s role as an Iranian deterrent against Israeli strategic actions, saying the Iranian Quds Force is laying the groundwork for a new force in Syria which can threaten Israel directly.